Los Angeles, CA, United States (4E) – Rob Kardashian and Blac Chyna have stirred break-up rumors after he deleted all photos of her wife-to-be on his Instagram account but sources said that they are still together and that he plans to have a paternity test after the baby is born. According to one source, Kardashian did delete all the photos on his social media account after he and Chyna had a fight. 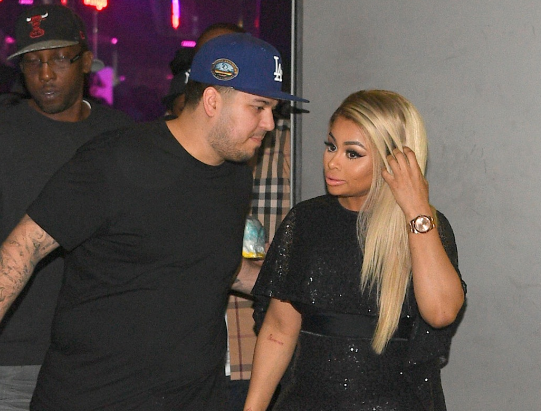 However, amid the rumors that the two have ended their engagement, source said, "Rob and her have been getting into little tiffs and Blac Chyna flipped on Rob. He was so pissed at how she spoke to him, so he deleted everything about her to hurt her." The source noted that the two have talked things through and are still in love despite the big fight. Reports have surfaced saying that Kardashian read a text message on her phone and it caused the argument. Another report claims that Kardashian never cheated on Chyna but she is very paranoid due to his past experiences. Accordingly, the 29-year-old was convinced to do it because he knows his fiancé has spent a lot of time with different men whenever she has hosting gigs. Kardashian and Chyna have been the talk of the town since they revealed that they were dating back in January. It has been a whirlwind romance from there after they announced that they got engaged and when they also revealed that they were expecting their first child. It has been highly-publicized due to the fact that Chyna and Kardashian’s half-sister, Kylie Jenner , have been pitted against each other. This comes after Jenner dated the former fiancé of Chyna , rapper Tyga . It is unclear if the latest fight of Kardashian and Chyna will be seen in their new E! series, “Rob & Chyna ,” which is set to debut later this year.